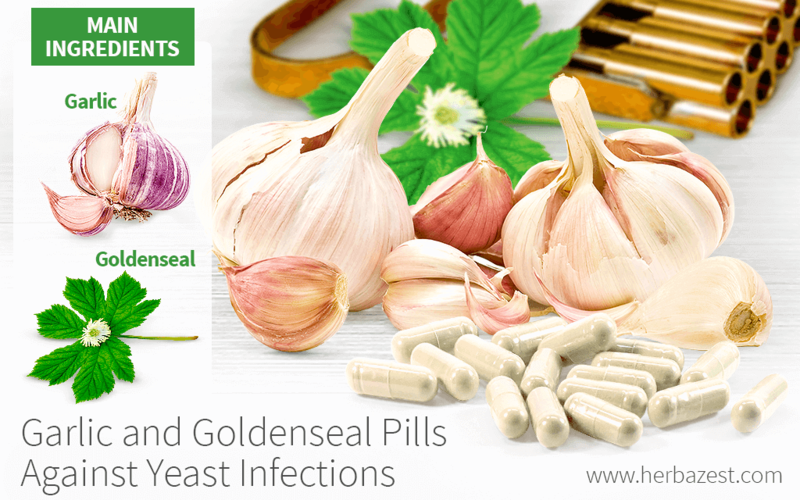 Prevent and combat yeast and other vaginal infections with these natural garlic goldenseal pills. They are made with only two ingredients, one of being garlic known for its powerful anti-fungal, antibacterial, and anti-inflammatory properties. Paired with goldenseal, whose berberine content has been associated with strong anti-microbial effects, these potent pills are capable of bringing fast and long-lasting relief from feminine discomforts. Take three capsules a day or as instructed by the doctor to combat yeast infections. These anti-candida garlic goldenseal pills will keep indefinitely when stored in a cool, dry place.